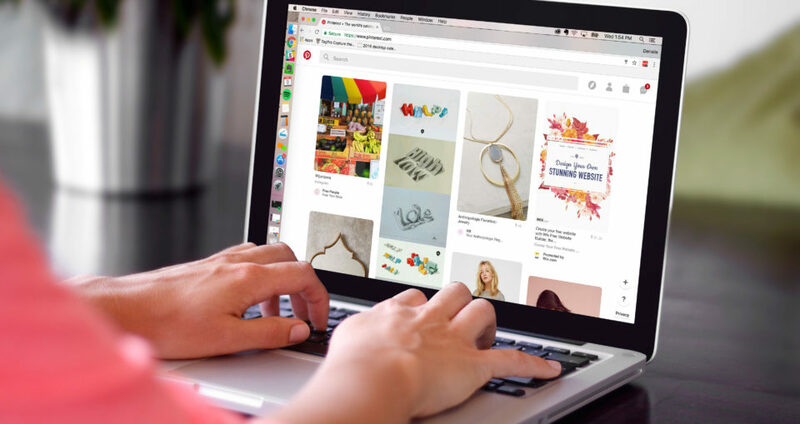 Pinterest, the self-proclaimed “world’s catalog of ideas,” just announced an expansion of its advertising options with Search Ads. Over the past seven years, Pinterest has amassed 150 million users. Those users conduct 2 billion searches monthly, 97% of which are not branded, meaning searches tend to lean more towards “cute athleisure outfits” rather than “Lululemon leggings.” One potentially effective result of the new feature set is the ability to target customers early in the buying stages. And now they’re making it easier for digital marketers to do just that. Pinterest has been working with a handful of brands like eBay and Target to test Search Ads on the site since last summer. They announced that their paid search product will be opening up to more advertisers, offering keyword and shopping campaigns with targeting and reporting options. They will be partnering with software provider Kenshoo to connect more advertisers to their new PPC options. Pinterest’s aim is to differentiate themselves from the likes of Google AdWords by reducing text-based ads and maintaining the visual emphasis for which the site is best known. Advertising is not new to Pinterest. Ads have been running since 2014, and the site has had an option for “Promoted Pins” since early 2015. However, these are native ad units– while advertisers could run ads using keywords, their promoted pins would appear mingled within the user’s feed of other relevant content. With these PPC updates, the ads will appear right on top when users search for your keyword, according to the Wall Street Journal. The platform is not without its issues, though. Consider Pinterest’s current targeting options: Locations, Languages, Devices, and Gender. Advertisers can also select keywords and Interests (chosen categories from Pinterest’s 30+ pre-defined topics). Compare that to Facebook’s nearly 100 targeting options that get as specific as “users who plan to buy a car” or “number of credit lines,” and it’s easy to see how a digital advertiser may have a harder time reaching their target market with Pinterest. Furthermore, the site does not yet have a self-service advertising option for Search Ads. Potential advertisers will either need to contact Kenshoo or their Pinterest account manager to set up an ad campaign. What about you? 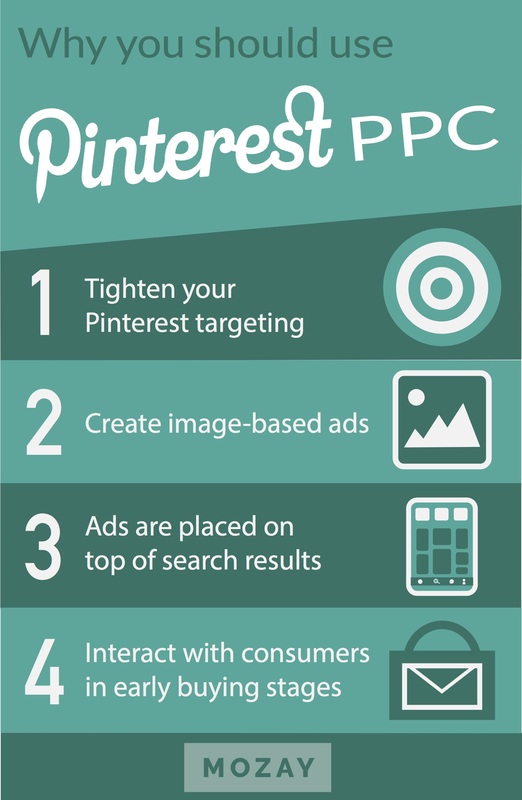 Have you advertised on Pinterest in the past? Do these new Search Ads updates lead you to believe Pinterest could be a marketing gold mine for your business in the future? Let us know in the comments below!